I’ve gotten into drinking tea 1) for health benefits and 2) to reduce the caffeine consumption I was getting from my abuse of coffee. Plus I’ve gotten to really like the taste of some and like taste testing various blends. 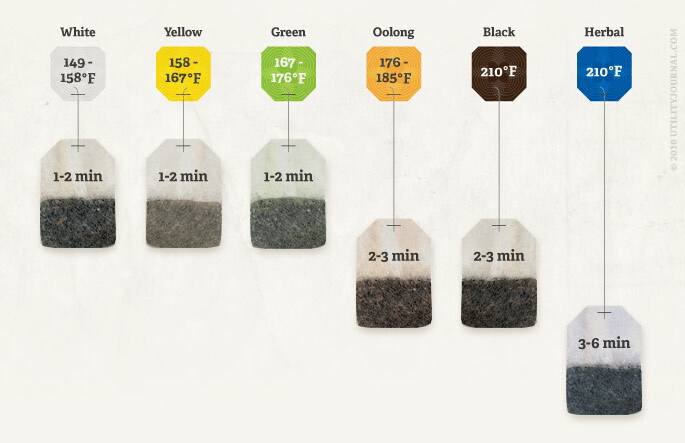 Here is a handy guide to steeping times and temperatures.